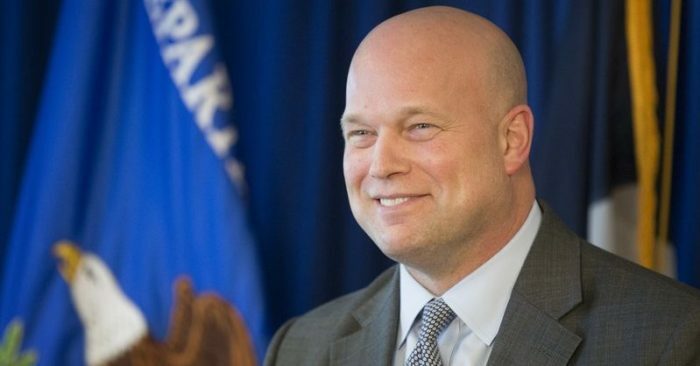 Acting Attorney General Matthew Whitaker doesn’t expect to remain in the job for more than another week, as the Senate is expected to confirm nominee William Barr for the position. 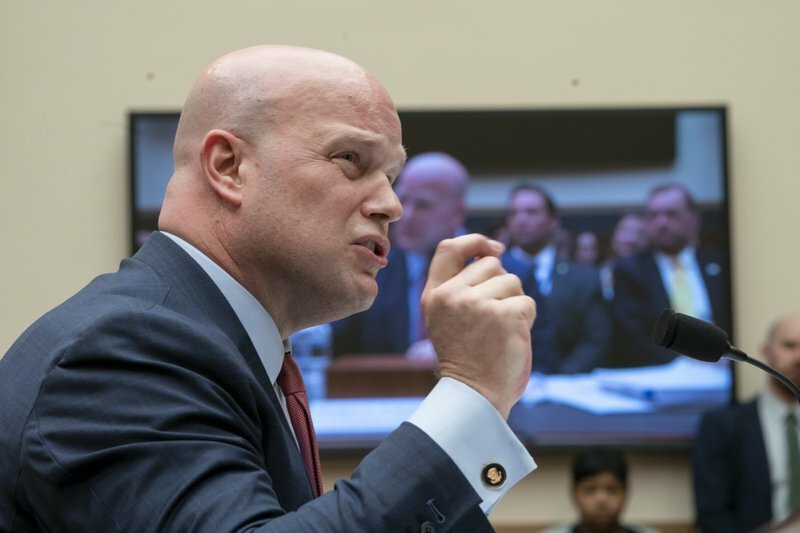 Whitaker has been in the office long enough, however, to be sharply grilled by Democrats—and a pair of Republicans—at a House Judiciary Committee hearing Friday. Here are eight takeaways from the contentious Capitol Hill hearing. The majority of the hearing dealt with special counsel Robert Mueller’s probe into purported Russian interference in the 2016 presidential election and whether Donald Trump’s campaign colluded in that. He said he has followed the special counsel rules to the letter and didn’t discuss it with others outside of the Justice Department. “Would you say the special counsel’s investigation is a witch hunt?” Cohen asked. “Congressman, it would be inappropriate for me to talk about an ongoing investigation,” Mr. Whitaker said, a point he would make throughout the hearing. 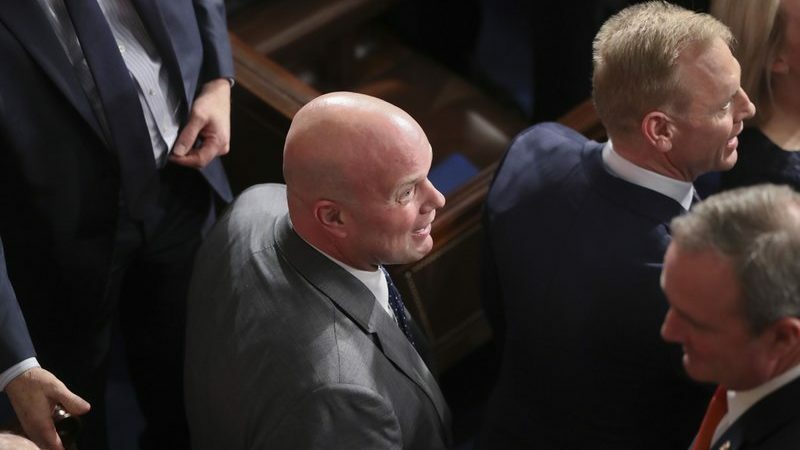 Shortly after his opening statement, Whitaker violated what House members regard as general decorum with the Judiciary Committee chairman, Rep. Jerry Nadler, D-N.Y.
“In your capacity as acting attorney general, have you ever been asked to approve any request for action to be taken by the special counsel?” Nadler asked, after his first five-minute round of questioning had expired. A day earlier, Nadler and Whitaker had had a standoff about whether Whitaker would be subpoenaed, when he was already voluntarily coming to testify at an oversight hearing on the Justice Department. “I also must make clear that I will continue the long-standing executive branch policy and practice of not disclosing information that may be subject to executive privilege,” the acting attorney general told the committee. Nadler appeared to threaten to call Whitaker back before the committee when the acting attorney general becomes a private citizen again after Barr is confirmed. “Your failure to respond fully to our questions here today in no way limits the ability of the House Judiciary [Committee] to get the answers in the long run—even if you are a private citizen when we finally learn the truth,” Nadler said. “This is nothing more than a character assassination,” Collins said in his opening remarks. Collins asked how it was that CNN was present and waiting for the FBI to arrive when more than two dozen agents showed up to arrest Roger Stone at his home in a pre-dawn raid. Stone is a strong supporter and confidant of Trump who was charged with lying to Congress. Whitaker said it was “deeply concerning” that CNN appeared to have known ahead of time, but said he had no evidence that someone on the Mueller team or within the Justice Department had tipped the network off. Democrats wanted to talk about whether Whitaker sought to thwart the Mueller probe. Republicans wanted to talk about Justice Department officials unfairly targeting Trump. Whitaker seemed to express frustration that neither side wanted to go beyond headline-grabbing topics into important matters that affect Americans. 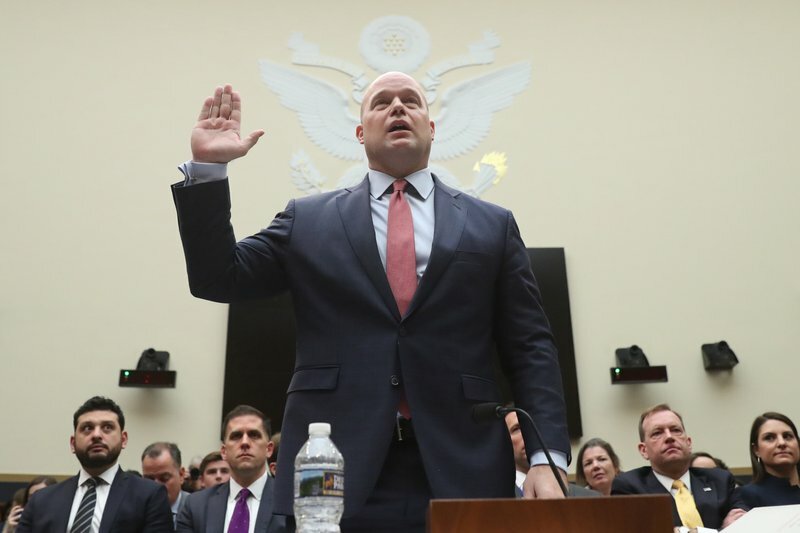 “I think it’s important, as we sit here today, that we understand this is not a confirmation hearing, that I am probably going to be replaced by Bill Barr in the next week,” Whitaker said. This is an oversight hearing for the Department of Justice, and I am surprised, as we both had the chairman and the ranking member talk about what they want to talk about, that we haven’t talked any about anything about the work regarding violent crime. We haven’t talked about the opioid crisis. We haven’t talked about religious liberty. We haven’t talked about free speech on our college campuses, and a whole host of other issues that I know are very important to you, and I look forward to talking about the substance of the work at the Department of Justice. It is your five minutes, and you can ask the questions that are of most interest to you. But, as I sit here today, I would like to talk about the incredible work that we have been doing at the Department of Justice since I was chief of staff and now acting attorney general. Collins responded that the news coverage on Thursday ahead of the hearing should have tipped Whitaker off that the hearing wasn’t going to be substantive. “I appreciate that, but if you had been glued to a TV yesterday morning, you would have found out that’s not what this is going to be about,” Collins said. Rep. Jim Jordan, R-Ohio, appeared at times to question the acting attorney general as aggressively as Democrats. He wanted to know about the broad mandate Mueller had to investigate matters that might fall outside of the purview of the Russia probe. “In my experience, it’s consistent with other appointments of special counsels,” Whitaker responded. Jordan talked about a three-page memo from Deputy Attorney General Rod Rosenstein to Mueller, 70 percent of which was redacted, explaining the scope of his investigation. “Do you know what kind of redactions, Mr. Whitaker?” Jordan asked. “We investigate crimes and not individuals,” he said. In another controversy that has raised red flags regarding the potential politicization of the Justice Department, Whitaker also said that Bruce Ohr is still employed by the Justice Department. Ohr’s wife, Nellie Ohr, worked for Fusion GPS, which conducted opposition research on Trump during the 2016 campaign. Fusion GPS paid for the unverified dossier that led to the Justice Department surveilling former Trump campaign aide Carter Page. Citing New York Gov. Andrew Cuomo’s signing a state abortion law that allows abortions up to the time of birth and Virginia Gov. Ralph Northam talking about abortions after a baby is born, Rep. Debbie Lesko, R-Ariz., expressed concern. She pointed to the 2003 federal ban on partial-birth abortions. Lesko said she read a Wall Street Journal article from 2018 that reported that in New York City, thousands more black babies are aborted than are born alive each year. Whitaker gave a cautious answer. “Every life is valuable. I can’t weigh into the political issue that you raised. The members of this committee have a lot of power as to how they value life, and how we enforce the laws of the Department of Justice,” he said. This is an issue that I know there is a lot of passion about. I appreciate your passion. It’s something we share together. If you look at my statements, previous to joining the Department of Justice, especially during my 2014 campaign for the United States Senate, I was very outspoken in this regard. But as I sit here as acting attorney general, it would be inappropriate for me to comment more forcefully on this issue. But we are going to enforce the laws that Congress passes, and we are going to hold those accountable that violate the law. Rep. Greg Stanton, D-Ariz., pressed Whitaker as to why he gave a speech at The Heritage Foundation during the recently ended partial federal government shutdown. 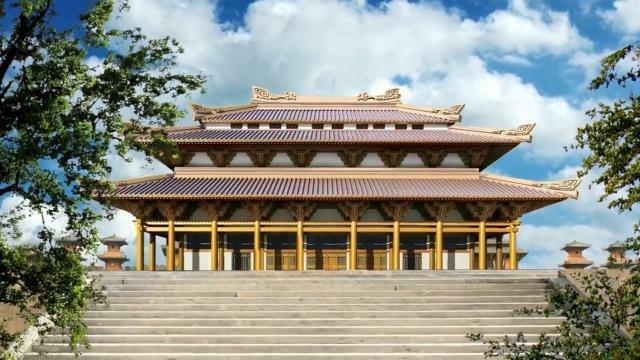 “It seems appropriate then that the department did issue a memorandum that said during the time of the shutdown, the ancillary functions of the department that involved travel would be not allowed,” Stanton said. Whitaker said that’s what he understood.